Premier League questions: Can Manchester City stop the rot? Who will be bottom on New Year's Day? As we approach the final fixtures of 2018, we ask: are Manchester United back to their best? Will Huddersfield stay bottom? What's happened to Manchester City? Liverpool head into the New Year in first place, that much we know for sure. But for everyone else, there are 2019 bragging rights at stake, a psychological boost in an otherwise cold and wet January. The start of a New Year is a statistical benchmark for title winning and relegation battling sides alike; just over the half way point and a convenient indicator of progress or lack thereof. 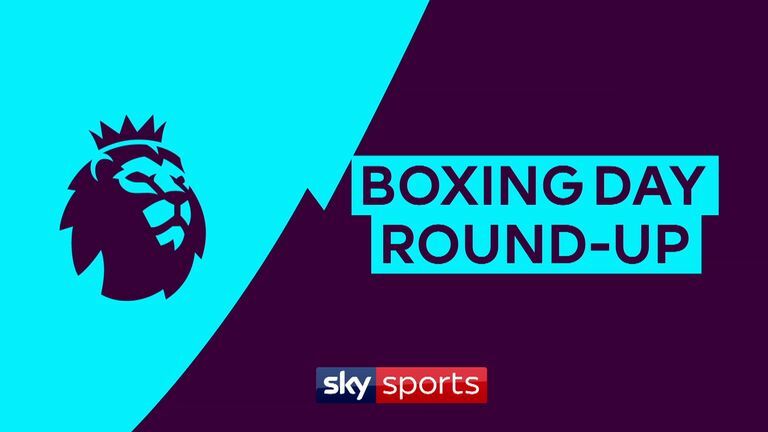 A round-up of all the action from Boxing Day in the Premier League, including Liverpool’s 4-0 win over Newcastle and another defeat for Man City. Who will have the edge heading into 2019? There's plenty to be decided top to bottom this weekend, so let's go over the talking points from each of the round's 10 games. A tense clash between two sides with the same New Year's resolution: avoid relegation. With both teams in danger of being bottom of the Premier League come January 1. Fulham and Huddersfield will be desperate to make sure they are not the ones propping up 19 other teams in the Premier League this year. This is a huge chance for either side to take three points from a relegation rival, gather some momentum and entering 2019 on a high. Second place, ahead of last year's record-breaking Manchester City side, 15 wins before the turn of the year. Spurs are riding high. 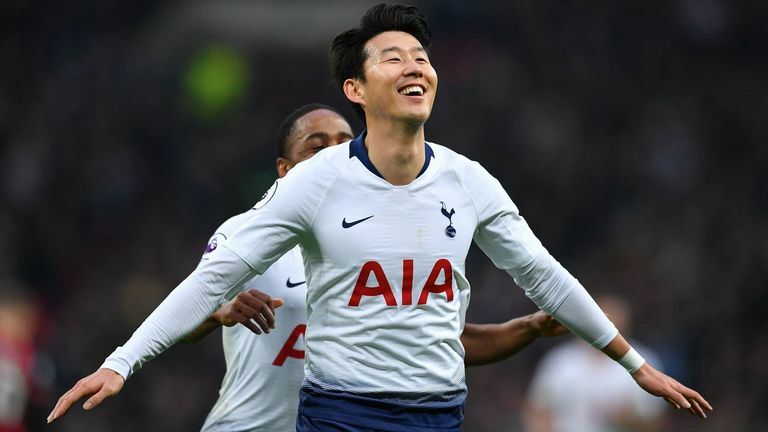 With Liverpool up against Arsenal, this is a huge chance for Spurs to close the gap and gain a mental edge for a couple hours at least, and show the Premier League that they are capable of pushing for the title in 2019. As for Wolves, they'll want to build on a positive first half of the season and break into the league's top 10. A win over Spurs would be a sign of how far the promoted side have come in a year. After some real heroics against Crystal Palace, Cardiff escaped Selhurst Park with a vital point, keeping them just above the relegation zone in 17th place. 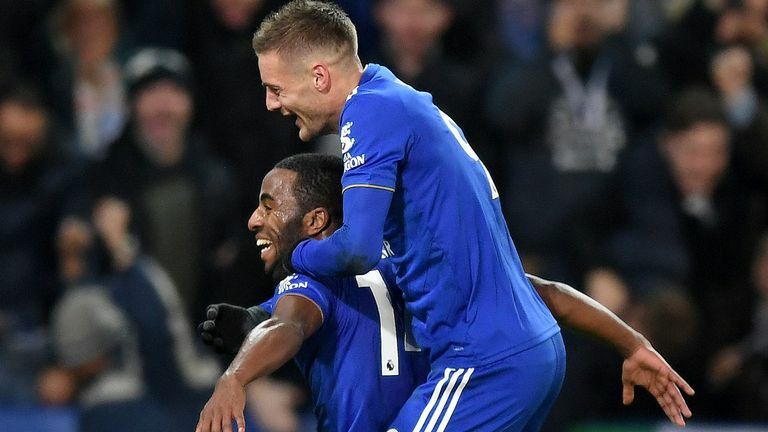 A trip to Leicester is a real test of their survival credentials, and a win would guarantee their passage into 2019 with the mental edge of knowing that at least three teams are currently worse than theirs. As for Leicester, another win would keep the pressure on sixth place. 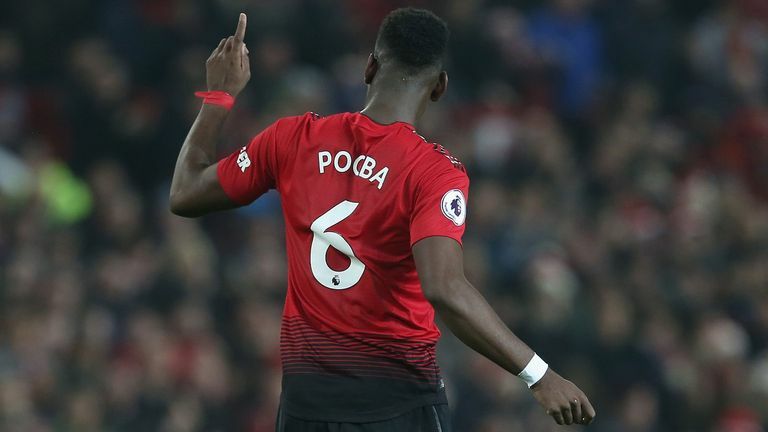 Currently four points behind Manchester United, can they stay close to Ole Gunnar Solskjaer's reborn United side? A torrid first few weeks of December saw Everton lose in the last minute at Anfield, pick up just two points against Newcastle and Watford at Goodison Park, and also ship six against Tottenham. But their 5-1 win at Burnley on Boxing Day could be the start of a much-needed winning run as they look to squeeze into the top six. Highlights from Everton's 5-1 win at Burnley in the Premier League. After going to Brighton, Everton host Leicester and Bournemouth, before trips to Southampton and Huddersfield. They face just one top-six side before March, giving Marco Silva's side the chance to consolidate a place in and around the top third of the Premier League table. Three straight wins in November would have prompted many Newcastle fans to look up instead of down, but just one win in six is causing concern again. But with five points separating them and the bottom three, Rafa Benitez's side can edge themselves away from danger at Vicarage Road, and judging by recent form, there are currently three teams worse than them. Burnley have just one win in 12, Huddersfield have lost their last six and Fulham have just the solitary win in 16, with that new manager bounce not yet arriving. Arsenal were the last team to take points off Liverpool, way back in early November at the Emirates in an entertaining 1-1 draw. In the eight wins since, Liverpool have scored 22 goals and conceded just two, but the Gunners' visit to Anfield on Saturday represents another big test for this title-chasing side. Though Arsenal have stuttered of late, their energetic style of play under Unai Emery caused Liverpool problems in the first fixture, and though Jurgen Klopp felt his side had more chances to win the game, the end-to-end nature will worry the German. 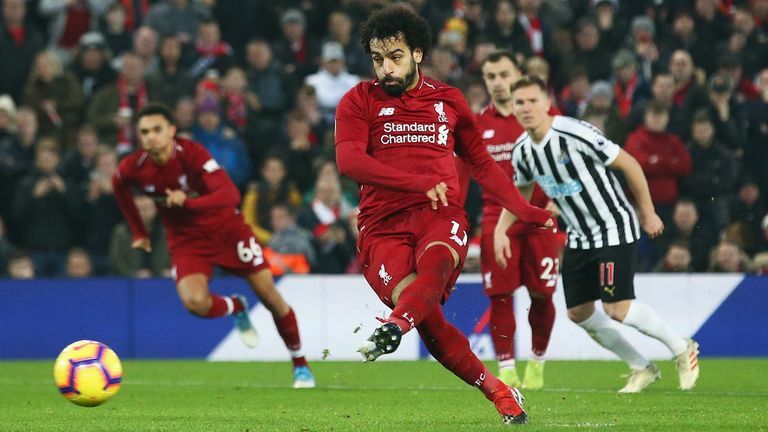 Highlights from Liverpool's 4-0 win over Newcastle in the Premier League. Klopp's defensive approach will be intriguing against an Arsenal front line to be feared. More of the same, you'd imagine, given Liverpool have conceded just seven goals all season. 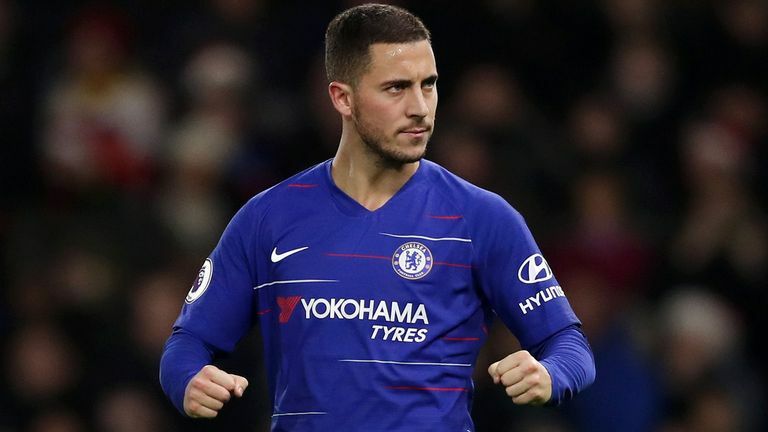 Chelsea's performance improved in the win at Watford on Boxing Day, but again they relied on two goals from Eden Hazard to pick up three points. His goals have accounted for 10 points this season - as well as Carabao Cup wins against Liverpool and Bournemouth and nine assists - but can the rest of the Chelsea team prove they are a unit? It looks as though Maurizio Sarri's side will be involved in an intriguing battle for the fourth Champions League spot, with a huge clash to come against Arsenal at the Emirates in mid-January. After Palace, home games against struggling Southampton and Newcastle provide a good opportunity to get a run going. 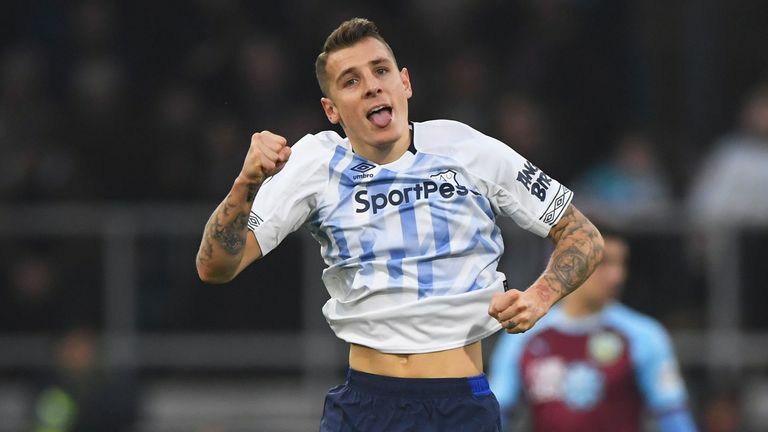 A worrying three-point gap opened up between relegation and safety on Boxing Day, but Burnley can claw that back with a win over West Ham, with 17th-place Cardiff going to in-form Leicester. Burnley's one win in 12 leaves them in real trouble, but they have some huge clashes against teams around them coming up; Huddersfield (away), Fulham (home) and Southampton (home) in the next six. Perhaps the New Year will bring a new approach from Sean Dyche, starting against a West Ham side looking up rather than down. What has become evident in City's last two shock defeats to Crystal Palace and Leicester is the huge gap Fernandinho will leave once his time at the club is up. John Stones was trialled there against Palace, Ilkay Gundogan against Leicester, and though both have specific qualities of their own, City's defence was left exposed in both games. Highlights from Leicester's 2-1 win over Manchester City in the Premier League. Fernandinho is a master in his position, and January may not come soon enough for Pep Guardiola to dip into the market to look for a potential replacement. Ole Gunnar Solskjaer wasn't exactly thrown into a torrid run of fixtures when replacing Jose Mourinho. A win at lowly Cardiff, then a comfortable victory at home to Huddersfield, and now another home clash with Bournemouth, who have two wins in 10 games and just shipped five at Spurs. Highlights from Man Utd's 3-1 win over Huddersfield in the Premier League. Then comes Newcastle away, and even with a trip to Wembley to face Tottenham after that, home games against Brighton and Burnley could see United back in the top-four hunt by early February. This is all guess-work, of course, but the reality is the feel-good factor is slowly returning, having scored nine goals in two games. With the way Bournemouth approach games against big sides, letting the play open up, a handicap bet on the hosts isn't a bad shout on Super Sunday.